One in 130 people in the UK has epilepsy - making it the second most common neurological condition after migraine. 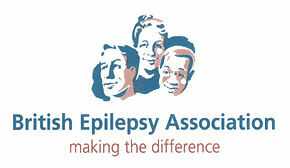 British Epilepsy Association (BEA) was set up in 1950, and since then the Association has changed dramatically, but our aim is still the same - to raise awareness of epilepsy. BEA was actively involved at consultation stage for the UK Disability Discrimination Act, ensuring that people with epilepsy were represented and that their problems were addressed. Changing the law is difficult but changing attitudes is the real challenge. Myths are hard to overcome, and education is the strongest tool in telling people the truth about epilepsy. Every week thousands of publications are sent to people's homes, schools and offices and to GPs' surgeries and hospitals, all aimed at dispelling the harmful myths that have dogged people with epilepsy down through the centuries. Achieving all of this is made even harder by the fact that BEA's funds come almost entirely from voluntary donations. Without the generosity of the general public our essential work simply would not be able to continue. People whose lives have been directly affected by epilepsy understand how vitally important it is that we can get our message across and we need them to help us to reach even more people and change more lives. BEA offers advice and information over the telephone free of charge for UK residents. Callers are guaranteed a friendly welcome and can discuss their concerns confidentially with knowledgeable staff. BEA's extensive library and information resource means that the vast majority of queries can be dealt with there and then. The lines are manned between Monday to Friday 0900 to 1630 (1600 on Fridays). This is BEA's online community for people that have epilepsy and their carers. It includes chat and discussion forums, e-mail, diary of events and a search facility for members. This facility is also used to collate information to form an anonymous database which will provide the world's first automatic data bank on epilepsy. This will be used to create better services and treatment for epilepsy. BEA-Connect Website: www.bea-connect.com.